The Uk data protection law will be changing from 25th May 2018 when the EU General Data Protection Regulation is adopted, replacing the Data Protection Act 1998. Data processors will be held responsible for data protection and any company or individual that processes data will be held responsible for its protection. AWA Refiners have been securely destroying hard-drives for over 20 years. All of our processes are verified by audit and Responsible Recycling (R2) Practices are in place. You can be assured that your data is in safe hands! Not only will your hard-drives be fully shredded (so that all data is destroyed), the remaining materials then go for full precious metal refining to recover the gold, silver, palladium and copper contained. This is a full recycling service to ensure maximum protection for the environment. Hard-Drives are recycled 100% with 0% being sent to landfill. 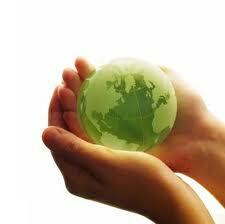 AWA Refiners Ltd are dedicated to safeguarding and improving our environment. Precious metal recovery of Hard-Drives enables us to pay our clients for their material, rather than charge for destruction. A complete service is provided from collecting the material at your site, fully recycling the material, printing your destruction certificate and sending you payment for the load.